Color can go a long way in complementing the beauty of natural African-American hair. A rinse, which is also referred to as semi or demi-permanent color, is often the recommended choice for naturalistas. It provides a gentler alternative to permanent color, yet is still a viable option for adding dimension and character to the hair's overall look. There are some great rinse products that you can use at home to enhance the beauty of your natural hair style. 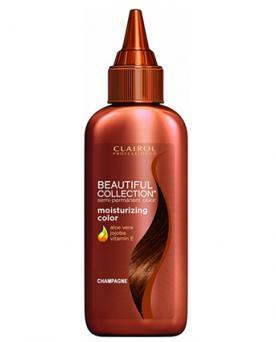 Clairol's Beautiful Collection and Jazzing semi-permanent color lines are perfect for achieving a pop of color that you don't necessarily want to remain married to for more than a few weeks. These two Clairol lines are a cinch to use. The bottles come with an applicator tip, so you simply apply the color directly to the hair without any mixing or transferring to a different container. While the natural blog Thirsty Roots recommends Clairol's semi-permanent color in general, note that the main difference between Beautiful Collection and Jazzing is simply the color palette of each line; Beautiful Collection has more natural hues, while Jazzing has more unconventional hair colors like bold reds, pinks, and purples. Both lines are available at Sally Beauty Supply for less than $7.00 each. Wella is a trusted salon professional color brand, but this brand also offers the Color Charm line, which is sold in Sally Beauty Supply for easy at-home use. Color Charm offers a variety of colors, especially in the deeper tones like browns and blacks, which makes this a great line for gray coverage and for enhancing your natural hair color. It also gives the hair a nice shine that lasts for weeks. Behind the Chair calls this color line "the ideal product to glaze, tone, enrich, blend, or pre-pigment," lending itself well to individuals transitioning to natural hair. This demi-permanent hair color product requires both the actual color and the developer (peroxide) that essentially activates the color process. Wella offers a developer specifically for its Color Charm line, and the color/developer mixing ratio is 1:2 (in other words, for every ounce of color, you'll mix it with 2 ounces of developer). You'll easily find both products positioned together on the Sally's color aisle. Color Charm is available at Sally Beauty Supply for around $6. The developer is sold separately for under $5. Henna is a natural color option that has become very popular in the natural hair community. Even though semi- and demi-permanent hair colors are free of ammonia, there are still those who would like to use only natural ingredients, and henna is a highly-recommended do-it-yourself option that has been used for centuries among Native Americans, Indians, and Africans alike. Henna for Hair is a wonderful resource recommended by leading natural hair blogger Curly Nikki. It allows you to purchase henna products such as Ancient Sunrise® Henna for African Hair and gather tips on specific color formulas to achieve the exact hue you're looking for. Pricing varies. If you're more comfortable leaving your color to the professionals, you can still be in control by specifically requesting the kind of color you'd prefer. Just remember, no matter which kind of color you choose, it's always best to go to a stylist who specializes in coloring natural hair and can care for and preserve the health and integrity of your curls. 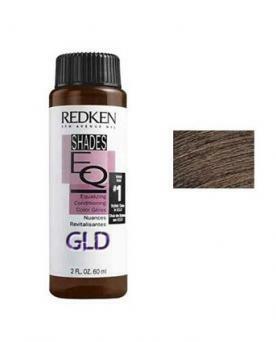 For a serious step up in your hair's shine and natural luster, Redken's Shades EQ is your color line! Shades EQ is a demi-permanent gloss that only the pros use, but it comes in a wide variety of shades that are wonderful for enhancing your natural or existing permanent color. For example, if you have highlights that have faded over time, Shades EQ can be applied to freshen those up and make your weeks or months-old highlights look good as new. It won't lighten any regrowth, but it will adhere to your existing highlights and deposit new pigment, which will make them bolder and brighter and extending the life of your permanent color. After winning the Behind the Chair Stylist Choice Awards three years in a row, this demi-permanent is definitely a proven selection. Visit the Redken official salon locator to find a local salon that offers this product. Pricing varies per salon. For naturalistas who like the idea of using more earthy products, Aveda's plant-based color is a popular option. Full Spectrum offers demi-permanent shades that gently color without stripping moisture or elasticity, which is key for natural hair. The beauty tips and review site Perfume Expert gave it rave reviews, praising this natural, innovative color for "protect[ing], condition[ing], and guard[ing her] tender locks." Full Spectrum is also great for gray coverage and for adding depth and richness to your hair's natural color. Visit the Aveda salon & spa locator to find a local resource. Pricing varies per location. Non-permanent hair color is a great option for natural hair because, no matter your objective, the use of both semi and demi-permanent color is a gentle way to add another dimension to your curls. Whether you choose to unleash your inner stylist at home or you trust a professional to perfect your look, you won't go wrong with these best bets.